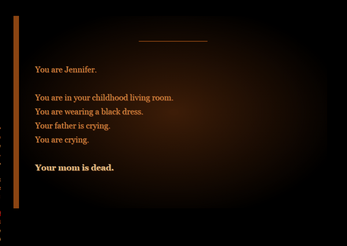 The game doesn't load well on itch.io for some reason, and Picosong disabled direct linking of our soundtrack. So play the game here and listen to Troy's especially-composed song here! 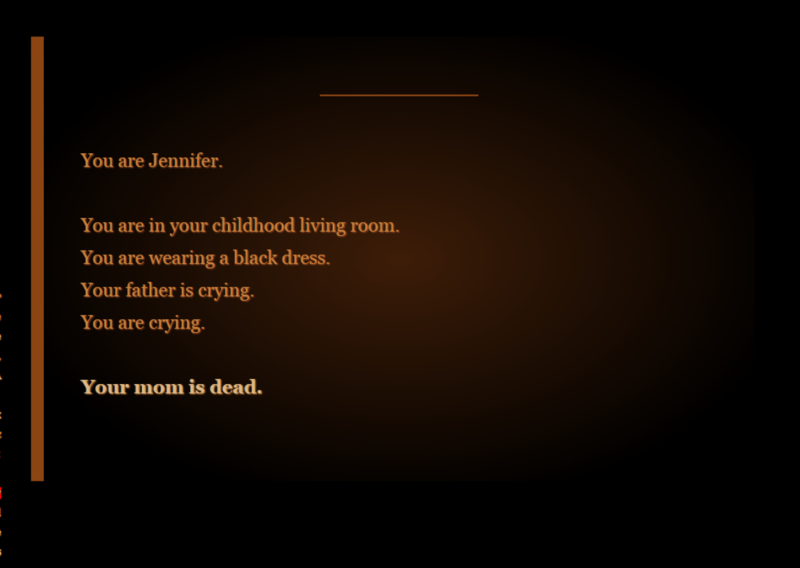 In this game you play Jennifer, tasked with managing the estate of your recently deceased mother Eleanor. In the process of getting everything organized, you uncover more about the family and yourself. Made on Twine, with music especially composed by Troy Turriate through Ableton Live. Made for Global Gam Jam 2015 - SF Bay.